SNAFU! 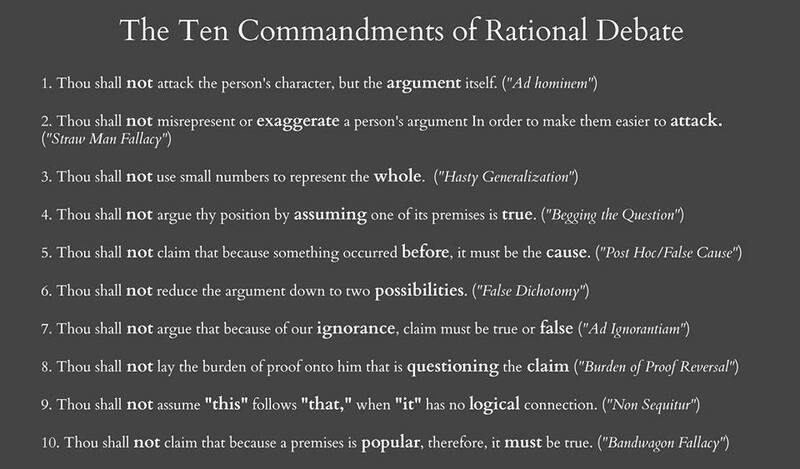 : The Ten Commandments of Rational Debate. Read it. Learn it. If I'm wrong then tell me but don't stomp your feet and simply say because. Don't get pissed and utilize a logical fallacy to think that you've "won" the argument. 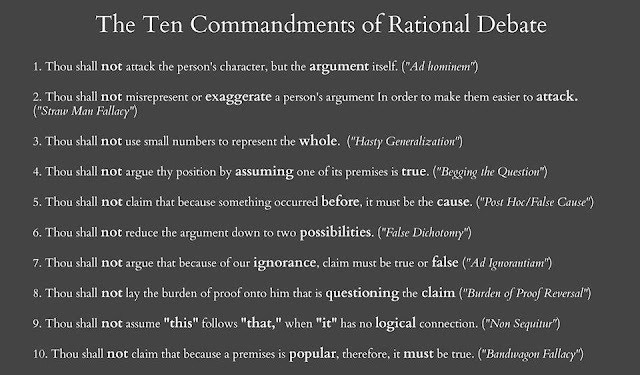 More importantly this should apply to discussions on the blog. We once had an exchange of useful information. Not so much anymore (oh and I've learned what my readership CAN handle and what they CAN'T when it comes to discussions). You can have whatever strongly held belief that you want (I certainly do) but don't be surprised if it's challenged. Defend the idea properly. Take a stance on whatever but do it the right way.